Amazing floor length tulle skirt is made of 2 layers of softest air wedding luxury tulle. 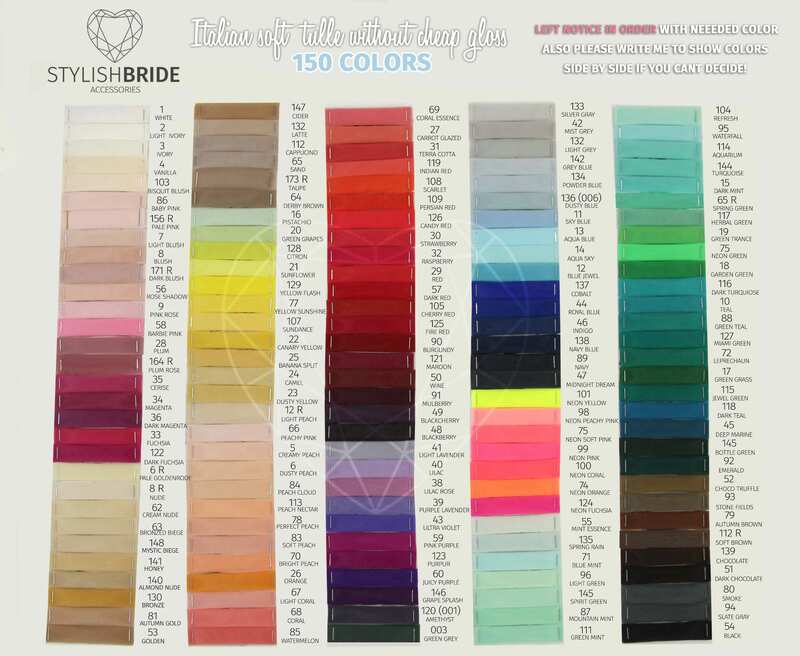 * Hayal Tulle - soft and has a matte finish used in sewing tulle wedding and evening dresses, sewing of wedding veils. HOW TO ORDER? - Left notice in order! What waistband you prefer - Zipper (don’t stretch), Elastic (stretch), Combo Flat&Elastic (stretch) ? Handmade , 100% origin. Hand wash recommended. Made in Ukraine.